Get a chance to win a limited edition Giordano 2011 planner. 1. Readers must comment in this blog entry by posting a link to your photo wearing any Giordano shirt with Christmas background. It can be recent or old pictures. The photo will be entitled: Christmas with my Giordano shirt. 2. You must also include the following info: Full Name, Contact Number and Email. 3. 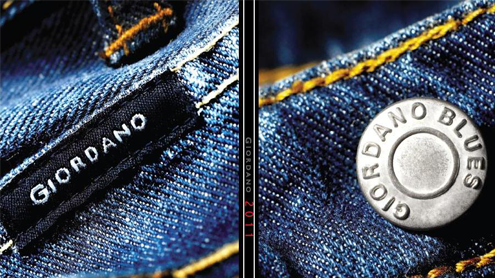 Post the same photo in Giordano Facebook page with a link to the blog entry. 5. 5 winners will be contacted thru email. 6. Winners will get limited edition Giordano 2011 planner. 7. Winners will have to show the email confirmation and a valid ID to claim the prize. 8. Duration will be from Dec 13-24. Five winners will be announced on Dec 25, 2010. 1. The limited edition 2011 Giordano planner is available starting December 15. 2. 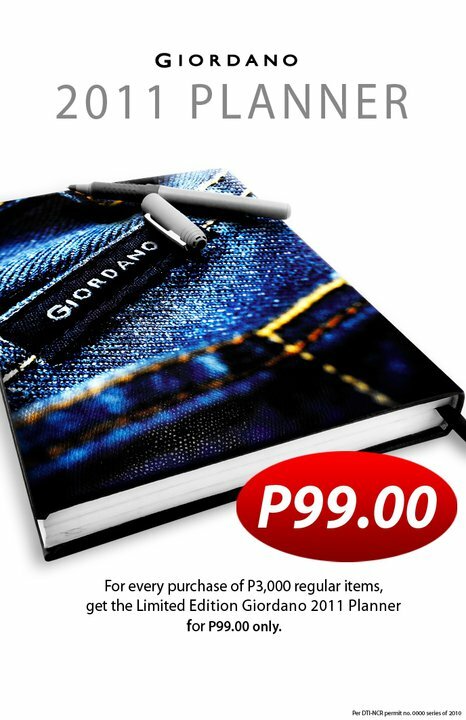 For a minimum purchase of P2500, the Giordano planner is available for P99 only. 3. The planner has around 240 pages. 4. It is available in all Giordano outlets.